DUBAI - A boycott of Qatar by a Saudi-led bloc of Arab states is hurting the economies of all the countries involved, with Bahrain and Qatar the most affected, Moody's Investor Service said Wednesday. The row has translated into a credit negative for the entire six-nation Gulf Cooperation Council (GCC) -- Saudi Arabia, the United Arab Emirates, Bahrain, Kuwait, Oman and Qatar, Moody's said in a report. Saudi Arabia, the United Arab Emirates, Bahrain and Egypt on June 5 severed diplomatic ties and imposed economic sanctions on Qatar, accusing it of backing radical Islamist groups. Doha has denied the charges. 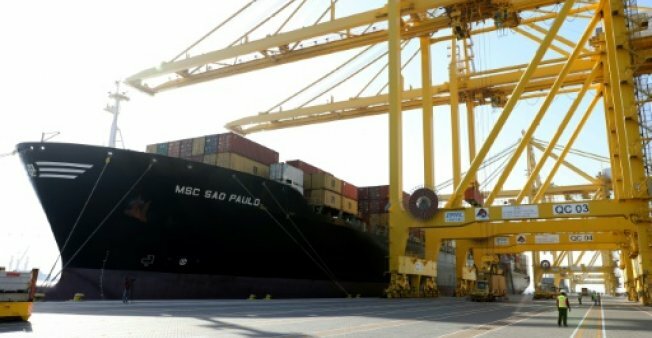 "The severity of the diplomatic dispute between Gulf countries is unprecedented, which magnifies the uncertainty over the ultimate economic, fiscal and social impact on the GCC as a whole," said Steffen Dyck, Moody's vice president. Qatar faces large economic, financial and social costs stemming from related travel and trade restrictions, it said. The impact on Qatar so far has been most acute for trade, tourism and the banking sector. Sizeable capital outflows in the vicinity of $30 billion flowed out of Qatar's banking system in June and July, with further declines expected as GCC banks opt not to roll over their deposits, Moody's said. It estimates that Qatar used $38.5 billion -- equivalent to 23 percent of its GDP -- to support the economy in the first two months of sanctions. Moody's said it does not expect that Qatar will have to borrow from the international capital market this year, but its financing costs will increase. The standoff could also impair the sustainability of Bahrain's currency peg to the US dollar and will also increase the cost of borrowing for the kingdom, the poorest of the six oil-rich GCC nations. The diplomatic rift will inevitably impair the functioning of the GCC more severely as the row prolongs. A boycott of Qatar by a Saudi-led bloc of Arab states is hurting the economies of all the countries involved, with Bahrain and Qatar the most affected, Moody's Investor Service said Wednesday.